Below are common attributes associated to Winston Churchill Aster. Become a care taker for Winston Churchill Aster! Below are member comments regarding how to plant Winston Churchill Aster. No comments have been posted regarding how to plant Winston Churchill Aster. Be the first! Do you know how to plant Winston Churchill Aster? Below are member comments regarding how to prune Winston Churchill Aster. No comments have been posted regarding how to prune Winston Churchill Aster. Be the first! Do you know how to prune Winston Churchill Aster? Below are member comments regarding how to fertilize Winston Churchill Aster. No comments have been posted regarding how to fertilize Winston Churchill Aster. Be the first! Do you know how to fertlize and water Winston Churchill Aster? Below are member comments regarding how to deal with Winston Churchill Aster's pests and problems. No comments have been posted regarding how to deal with Winston Churchill Aster's pests and problems. Be the first! Do you know how to deal with pests and problems with Winston Churchill Aster? Looking for Winston Churchill Aster? Plant asters in well-drained soils with average fertility and full sun to light shade. Winston Churchill Aster is a relatively low maintenance perennial, and is best cleaned up in early spring before it resumes active growth for the season. 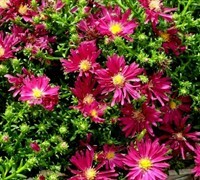 Fertilize aster in the spring when new growth begins to emerge with a well-balanced plant or flower food or an organic plant food.